Published February 20, 2013 at 3237 × 4855 in Florida: Inside Beautiful Bok Tower! Entrance Through Golden Brass Door, Bok Tower Gardens, Lake Wales, Florida. 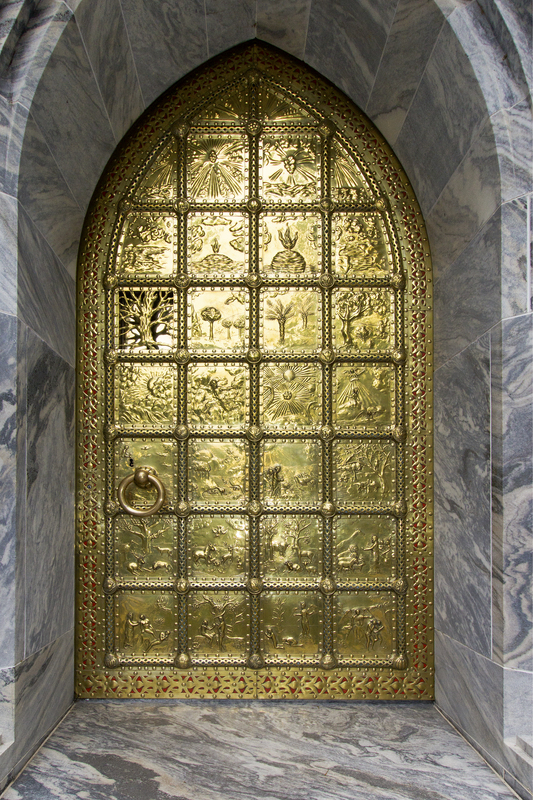 The color of the door was chosen to enhance the glory of the 32 scenes of Biblical Creation on the door. The door weighs 1,000 pounds and is polished monthly.